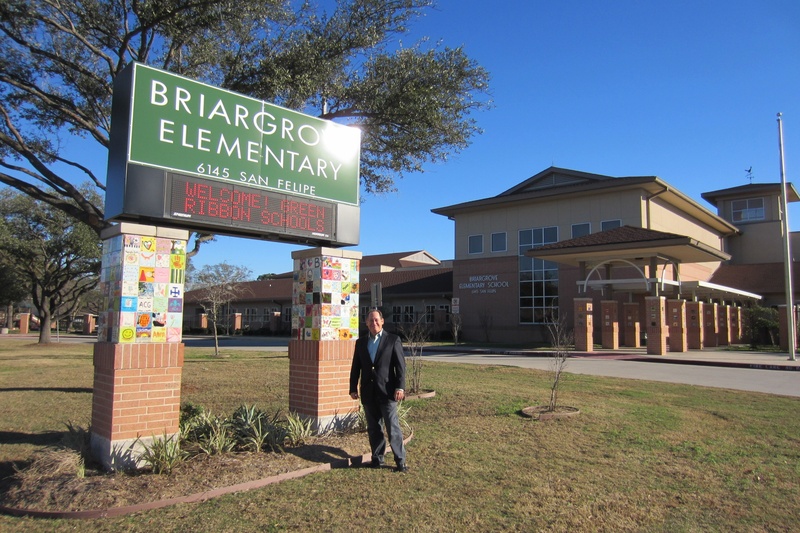 Last week Steve Amos, Executive Director of Cyberways and Waterways and Green Ribbon Schools, had the chance to visit one of our Green Ribbon Schools, Briargrove Elementary, in Houston, Texas. Steve spent the afternoon discussing the features of the Green Ribbon Schools program with the Briargrove Elementary staff. Green Ribbon Schools’ 3 R approach was a main talking point in the discussion, as our website gives teachers the ability to Reach, Recognize, and Reinforce, which truly alters behaviors. The Healthivores Video Game contest is just one of the avenues on the GRS website that allows you to fulfill all 3 R’s and change behaviors. It was fantastic for Steve to have the chance to discuss the benefits of this program with the teachers of the 3rd grade Science classes at Briargrove Elementary. With the contest being open to K-12 students, we love to hear feedback from teachers of all grades on how students are continually challenging themselves with this contest. 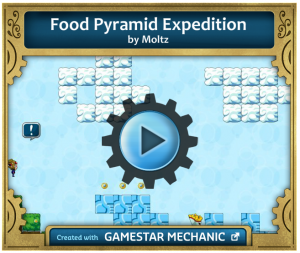 The deadline to submit games for the Healthivores Contest is March 31, 2013, but our lesson plans allow teachers to complete the program in 3-4 weeks or less, so you still have time. View all the details on the GRS Healthivores Page. After 4 months of voting, the Healthivores Voting Contest has officially come to a close. The votes poured in each day, leading to an ever-changing standing of our leader board. On December 31, 2012 at 11:59 p.m. the game Nutritious is Delicious prevailed as the number one game. The creators of the game, Emily and Brooklynn, worked hard and endlessly to secure 2,524 votes by the end of the competition. To play their game visit their page on the Green Ribbon Schools website. To reward Emily and Brooklynn for their efforts, each student will be awarded a brand new laptop provided to them by our partner AMD Foundation. As we move into 2013 our Healthivores Video Game Contest is in full swing, and that means there are more chances to win laptops for the students, teachers, and schools. The deadline to upload a fully completed video game is March 31, 2013. To get started visit the Healthivores page on our website. This is where you will find lesson plans and a toolkit which gives teachers a step by step guide to implementing the Healthivores Video Game Contest in their classroom. Pflugerville High School students are carrying on the Austin reputation for quality high-tech innovation through the campus’s new Digital & Interactive Media class. The class began last year and focuses on designing video games – something of interest to many students – and is on its second year. In only the first year of the program, three students won the high school category in a national video game contest. Jessica Page, Monica Moltz and Joel Barrow won the Healthivores™ Video Game Contest hosted by Green Ribbon Schools for their project, “Food Pyramid Expedition.” The organization partnered with the AMD Foundation to award Advanced Micro Devices (AMD)-powered laptops to the four national winners’ campuses and the students’ teacher. Roughly 110 students at PHS competed in the contest as teams. Nearly 400 entries were submitted from 42 schools from across the United States and winners were selected by judges from the video game, technology, and health sectors. The Healthivores™ video game contest was launched to help kids get smart about health. Students were guided through the process of designing their own video games to teach a health lesson to other students on topics ranging from nutrition and exercise to fighting cancer. Green Ribbon Schools developed the Healthivores™ campaign to address dangerous health problems in today’s youth, such as childhood obesity and diabetes. The contest engages students from all types and sizes of schools in learning about personal health (nutrition, exercise, disease prevention), while also developing each child’s STEM (science, technology, engineering, math) skills. AMD Changing the Game, the signature education initiative of the AMD Foundation, is designed to take gaming beyond entertainment and inspire youth to learn critical education and life skills by equipping them to create digital games with social content. The program’s purpose is to promote the use of youth game development as a tool to inspire learning and improve STEM skills. “Austin Brightly combined healthy eating with his love of games to take first place in this year’s Healthivore Video Game Contest. “It’s supposed to teach about how you should become active and healthy,” Brightly said. While he admits that he still has work to do on his own habits, creating the video game did teach Brightly valuable lessons on a healthier diet.